Finally, a proper Irish lunch. 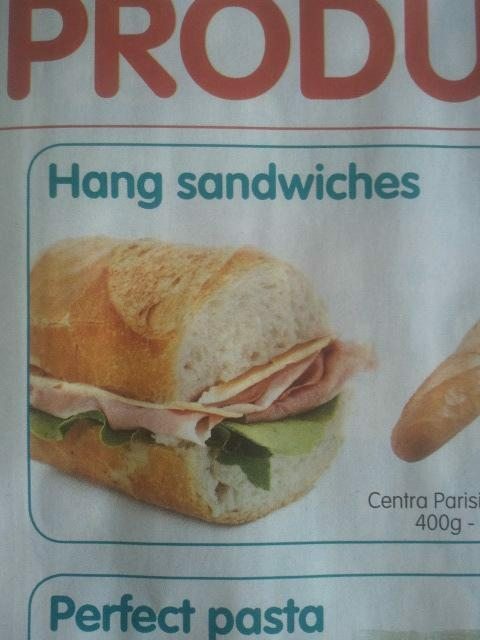 IT IS WIDELY known that the proper spelling of ham sandwich is ‘hang sangwidge’. Happily, Centra are on board with this. Well, half on board anyway. We applaud this. Next step: renaming the jambon. Email “Centra are selling actual 'hang sangwidges'”. Feedback on “Centra are selling actual 'hang sangwidges'”.